Let’s start planning your next celebration at a Disney park now! 1. Disney Button. When we arrived at Disneyland’s Grand Californian Hotel & Spa the cast member checking us into our room made sure that I was given a really cool Disney button, with my name on it. Plan to wear it for your whole trip at Disney, like I did, and celebrate your birthday for days! You can also pick up your Birthday Button at guest relations or any merchandise store. 2. 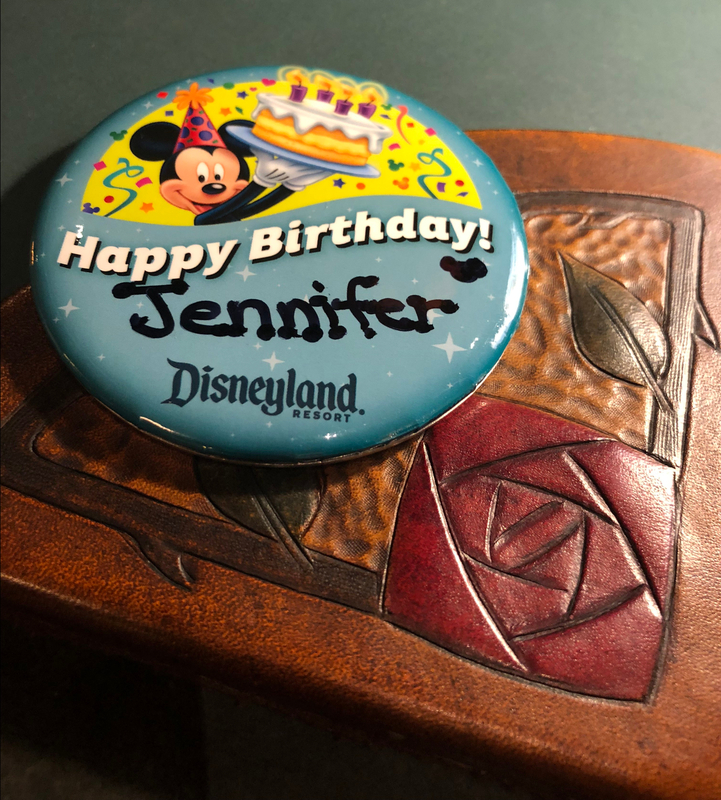 When cast members see your snappy new button they will say Happy Birthday to you in the park or maybe even stop you and sing the happy birthday song! When I walked through the Disney California Adventure gates, on our first day in the park, a cast member stopped me and serenaded me with a beautiful Disney inspired Happy Birthday tune. 3. Birthday Cake. Did you know that you can surprise your birthday boy or girl with a Disney themed cake? It’s Disney, of course you can! Ordering a cake and creating a magical birthday surprise is easy when it comes to Disney. The cake was so big that we ended up sharing it with the tables around us. 4. Birthday Photos. 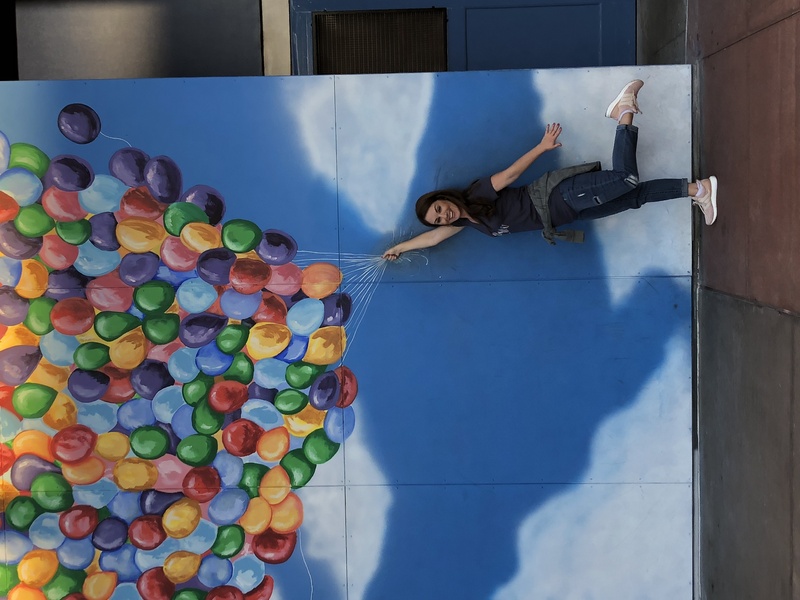 When you get your picture taken with any Disney photographer they will add balloons to your final photo on your Photopass of you holding balloons. Another fun photo op is in the Hollywood back lots of the California Adventure Park. Strike a pose with the balloons from the movie Up. 5. Fun Mickey Ears. Disney has ears for every occasion including your birthday. 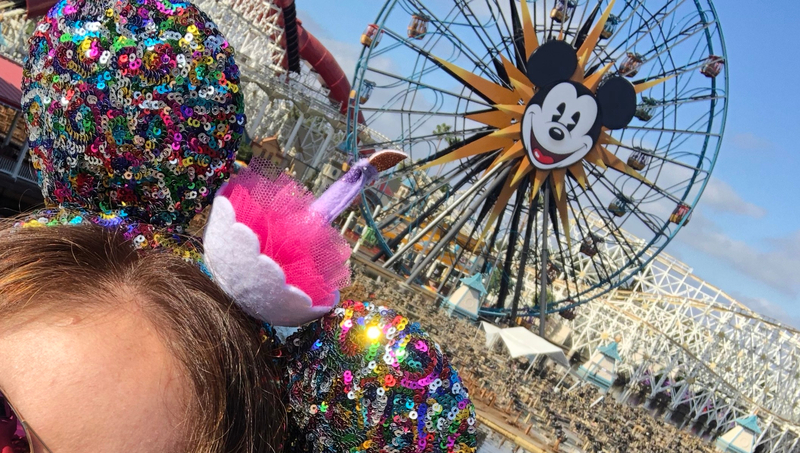 I love my sequin ears with birthday cupcake. Disney always knows how to celebrate every occasion and to make guests feel like they are number one! Celebrating my birthday in the park was one of my greatest birthdays yet, can’t wait to celebrate again next year! 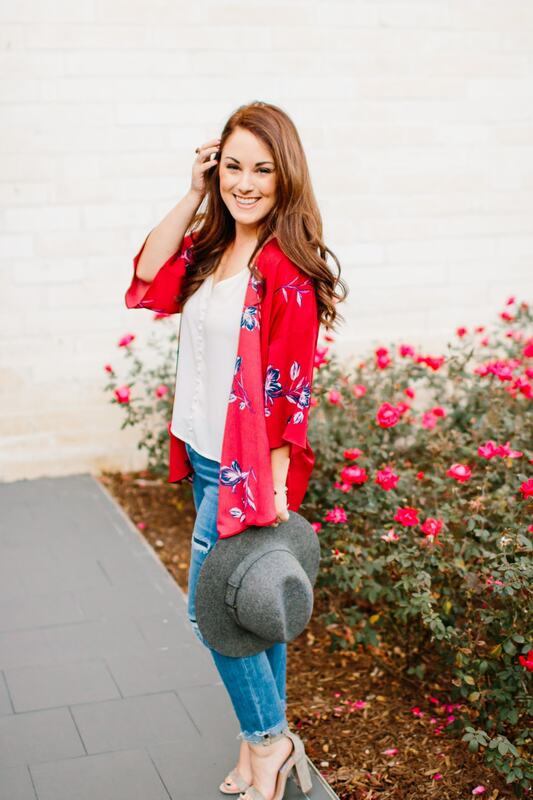 Next Post What’s a Career Retreat?